Dr Silvia Vianello, Director – Innovation at SP Jain School of Global Management, won the Pioneering Woman Leader Award at the 6th Edition of the World Women Leadership Congress on February 17, 2019. 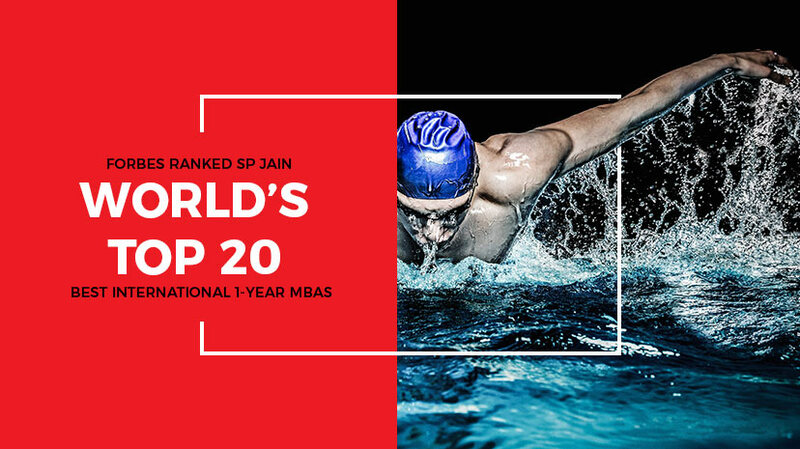 We are thrilled to share that SP Jain School of Global Management’s Executive MBA (EMBA) program in Dubai has secured higher positions in the latest Ivy Exec Global and Asia-Pacific Rankings for 2019 as compared to 2018. We are thrilled to announce that Dr. Nicolas Hamelin, Associate Professor of Marketing and Neuroscience Lab Director at SP Jain School of Global Management, has recently published a manuscript titled ‘Negative Marketing in Political Campaigns and its Effect on the Voting Decision of the Indian Millennial’ in Eurasian Journal of Business and Economics (EJBE). We are pleased to share that Dr. Silvia Vianello, Director - Innovation Center at SP Jain School of Global Management, has been featured in reputed Italian magazines ELLE (8th March 2019) and GAZZETTINO (7th March 2019). With India’s Budget 2019 scheduled to be announced on 1st February 2019, Avanne Dubash from ET Now, one of India’s leading business news channels, visited SP Jain School of Global Management’s Mumbai campus to understand what the expectations are from the upcoming budget. SP Jain’s students, alumni and faculty were chosen to voice their views and share their expectations. How to become a successful entrepreneur? Can entrepreneurship be taught? Prof. Christopher Abraham, CEO & Head of Campus (Dubai) and Sr. Vice President - Institutional Development at SP Jain School of Global Management, was invited on 10th January 2019 to The Business Breakfast show hosted by Dubai Eye 103.8, one of the leading talk radio stations in the UAE, to share his insights on what it means to be an entrepreneur.